WordPress is the most popular website building tool in the world. It is also the most popular blogging platform. It’s the tool of choice for some of the most prestigious companies around the globe, including The New Yorker, BBC America, Sony Music, and BestBuy, to name just a handful. 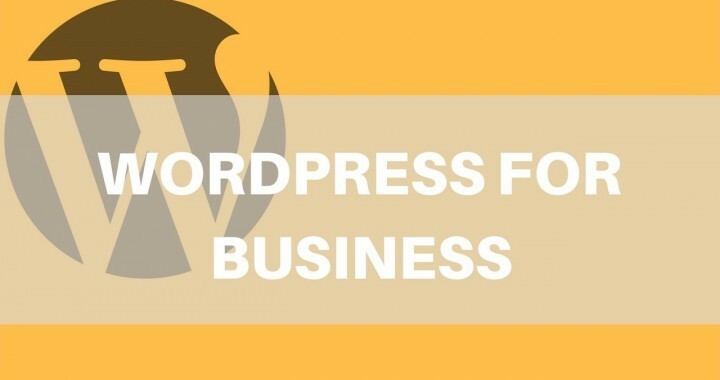 If WordPress is robust enough for these mega-businesses, then it’s powerful enough to handle your web publishing needs, as well as being the right platform on which to publish your marketing or blogging content. If you already have a working website, built on an older Content Management System, when the time is right, you should consider migrating to WordPress. Why is WordPress Considered the Gold Standard for Businesses? WordPress is the gold standard for businesses for very good reason. It began as a blogging platform and grew exponentially from within. As its popularity grew, it picked up even more speed, and developers from around the world flocked to the platform, helping expand it's functionality as well as designing visual website templates (known as themes), enhancements, plug-ins, and more. Its unprecedented popularity is due in part to its reliability, ease of use, accessibility, affordability and versatility. In the past business owners had to pay many thousands of dollars for a very basic website, built on custom website software which also had to be paid for. This custom website software was often quite expensive and typically came with a recurring subscription fee to keep it current. WordPress software is open source and as such is free. So now, your investment in a website can be invested more in planning, and building something that works for your business, rather than paying for old software. 2. WordPress is an open source platform. Open source software is software for which the source code is made freely available and may be redistributed and modified. This has resulted in many thousands of creative developers pushing the boundaries of the software and developing an ever-growing list of features. It also means that your software will continue to grow and improve, rather than fall behind as companies reduce their investment in improving their custom content management systems. 3. WordPress has the structure to handle any content. What is it you want to achieve with your business website? Do you want to create a members-only site? A review site for visitors to add personal opinions? A gallery of products and services? Whatever it is, WordPress can be set up to handle it. It may have started life as a blogging platform, but it is now so much more. WordPress is built in such a way that it can be configured quite easily to perform well in search engines. This means search friendly URL's, logical content structure and the ability to optimise page titles and meta descriptions easily. It doesn't mean it's the only CMS that can optimise for Search Engines, but it is definitely very easy to do and there are some great add-on plugins that empower you even more. 5. WordPress is easily updated and changed. WordPress is structured in such a way that the entire design can be changed with a few clicks of a button. With WordPress, if you want to change the look and feel of your website, you don’t have to start all over from scratch. This is becoming more and more of an issue as CMS products need to be secured and improved. Some tools require a lot of expert time to complete upgrades and often the supporting modules might not be getting the upgrade improvements. This can lead to a lot of unnecessary extra cost. WordPress comes in two versions – WordPress.com and WordPress.org. The first comes with its own hosting and with some fees. WordPress.org is free, and the only cost is your domain name and possibly a premium theme. However, as a real business, you recognise that your website is like your shopfront. As such, you will want control over your own property, and so will install your software on reliable website hosting using the downloadable version of the software. Website content will include site pages and blog pages, along with other elements like images, graphics and more. You can leverage WordPress's ease of use to create useful, unique and helpful website content that best presents your business online. The blogging functionality of WordPress allows you to publish regular fresh content on your site. Imagine running your own news channel, sharing internal company videos, stories, case studies and more. This is how the blogging feature set of WordPress is used today to deliver value to customers and keep search engines crawlers coming back to discover fresh new content to rank. WordPress allows any business to turn their business website into an online shop using an e-commerce plugin called WooCommerce. WooCommerce is now the world's most popular e-commerce software and is built to run on WordPress. Content marketing has seen massive growth in the last few years. It is a marketing approach that attracts and converts customers by creating helpful content. WordPress is the ideal platform to host this content, whether video, audio or text. You can create valuable educational and marketing content, and WordPress will allow you to get the most out of it by hosting it in a way that makes it easy to share and consume on social platforms. It enables you and your business to do so much more than was every possible in the past, at an investment that far more reasonable than the old custom content management systems of the past.